Linking people and ecosystems | What is resilience? It is time to fully realise that our societies and economies are integral parts of the biosphere, and to start accounting for and governing natural capital. Poverty alleviation and future human development cannot take place without such a wider recognition of nature’s contribution to human livelihoods, health, security and culture. The issue at stake extends beyond climate change to a whole spectrum of global environmental changes that interplay with interdependent and rapidly globalising human societies. Science has a great responsibility in this respect to provide a better understanding of the multiple challenges facing humanity and to explore solutions for sustainable development in an increasingly unpredictable world. Resilience thinking is an important part of the solution, as it strives at building flexibility and adaptive capacity rather than attempting to achieve stable optimal production and short-term economic gains. It is time for a new social contract for global sustainability rooted in a shift of perception – from people and nature seen as separate parts to interdependent social-ecological systems. This provides exciting opportunities for societal development in collaboration with the biosphere; a global sustainability agenda for humanity. Since early 1800 the human population has increased massively from one billion then to the nine billion we are committed towards 2050. During the last 200 years, and particularly after World War II , economic development, international collaboration, technical and social innovation, improved health and wealth have all contributed to boost the standard of living of most people, although the world still hosts one billion absolute poor and three billion people living on less than 2.5 USD a day. Within the same period of time, the Earth’s ecosystems have started to show serious signs of fatigue. In 2005, the UN Millennium Ecosystem Assessment (MA) published the first ‘global health control’ of the world’s ecosystems. The diagnosis was clear: the rapidly growing human demands for food, freshwater, timber, fiber and fuel have changed the Earth’s ecosystems faster and more extensively in the past 50 years than ever before. The assessment showed that some 60 percent of the ecosystem services that support human well-being are being degraded or used unsustainably. This ecosystem degradation could grow significantly worse during the first half of this century and is a barrier to reducing global poverty and achieving the Millennium Development Goals. Amidst gloomy forecasts, the MA also brought with it good news. The assessment represented a major shift towards a better understanding of the relationship between human progress, economic development and governance of the world’s ecosystems. Rather than separating human development from environmental governance, the MA has helped clarify that people and societies are indeed inseparable parts of what we call the biosphere – the global ecological system that embraces all living beings on Earth and in the atmosphere. The MA emphasizes the importance of extending the economic notion of financial value to include nature’s goods and services. The bottom line is that poverty alleviation and future economic development can only be achieved with a stronger emphasis on management and governance of ecosystems and their capacity to generate essential services. 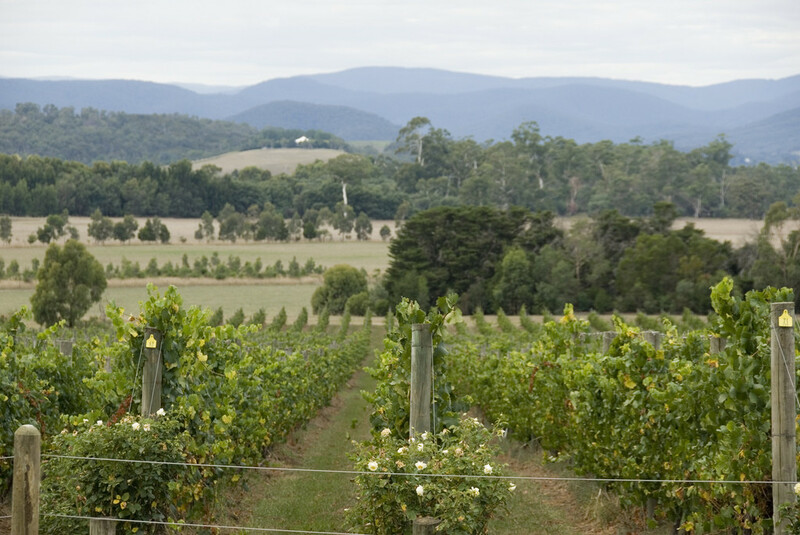 The Goulburn-Broken catchment in the Murray-Darling Basin in the State of Victoria, Australia, has become a significant income provider thanks to seemingly well-adapted dryland cropping, grazing and fruit production. However widespread replacement of deep-rooted native trees with crop and pasture plants in combination with irrigation, have resulted in caused severe salinization problems in the region. Another example of the delicate interactions between social and ecological systems is the global market demand for palm oil and tropical timber, which has changed large parts of Borneo from biodiversity-rich tropical rainforests to a simplified oil palm landscape. The situation becomes critical when the role of El Niño is included in the equation. This climate phenomenon is tightly linked with the reproduction of trees in the Dipterocarp family, which dominate the rainforests. Up to 90 per cent of Dipterocarp species synchronise their flowering with the onset of dry weather conditions, which traditionally occur during El Niño on a roughly four-year basis. The mass blooming and subsequent fruiting involve thousands of species across millions of hectares and represent a strategy that intermittently starves and swamps seed predators, so that at least some seeds survive to germination. This dynamic relationship between Dipterocarp trees and El Niño has lasted for millennia, but the growing global thirst for palm oil is now breaking the system down. Intensive logging of the trees has reduced the local density and biomass of mature trees below a critical threshold that limits masting. In addition, the introduction of fires in a region that had no prior fire regime has exacerbated drought stress and caused a radical transformation in forest ecology, which has made El Niño a destructive rather than a regenerative force. In the process, Borneo has turned from being a carbon sink into becoming a carbon source, with fires releasing massive amounts of carbon dioxide, making Indonesia one of the largest greenhouse gas polluters in the world. One increasingly relevant scientific approach to deal with analysis of interwoven systems of humans and nature is through the concept of resilience. This concept is not only used as a framework for research, but also applied in practice. Examples range from city planning to small-scale water innovations to combat poverty in drought-prone areas in the developing world. Resilience is the long-term capacity of a system to deal with change and continue to develop. For an ecosystem, such as a forest, this can involve dealing with storms, fires and pollution, while for a society it can involve an ability to deal with events such as political unrest and natural disasters in a way that is sustainable in the long-term. Low resilience may lead to undesired shifts in a system. Examples include savannah systems that turn into shrub-deserts, coral reefs that shift into algae-covered rubble and lakes that become over-enriched with nutrients and shift into a state with blooms of toxic algae and fish kills. The outcome tends to be biodiversity-poor ecosystems that are vulnerable to change and generate fewer ecosystem services to human societies. Increased knowledge of how we can strengthen a desired resilience in both society and nature, or rather interconnected social-ecological systems, is becoming increasingly important when grappling with climate change and other environmental impacts. Investing in resilience can be seen as insurance against future shocks. By safeguarding diversity and critical resources, the chances of ‘riding through’ shocks – such as extreme events – increase. This is of critical importance considering future uncertainty and limited understanding of the vulnerability generated by human-induced change. In essence, resilience theory argues that the nub and kernel of the problem is that many of the serious, recurring problems in natural resource management stem from a lack of recognition that ecosystems and social systems are dynamic and inextricably linked. A substantial challenge is to ensure that the value of ecosystem services becomes more visible in society. Assigning a value to ecosystem services is gaining increasing interest among researchers and policy makers. Although the scientific basis and financial and political mechanisms are still under development, there are several promising efforts. 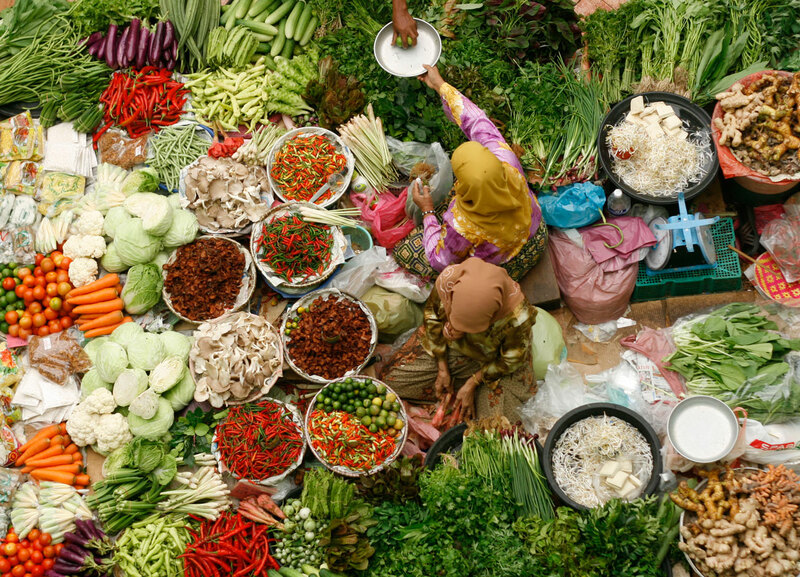 For instance, The Economics of Ecosystems and Biodiversity (TEEB) study calls for wider recognition of nature’s contribution to human livelihoods, health, security and culture by decision makers at all levels (local, regional and national policy makers, business leaders and private citizens). For instance, the report shows how the annual costs of forest losses alone (2, 5 trillion USD) dwarfed the financial crisis in 2008. In other words, the world lose more money from the disappearance of forest ecosystem services alone than through a banking crisis. The TEEB study has helped place biodiversity management on the high end of the political agenda, showcasing the enormous economic value of forests, freshwater, soils and coral reefs, to name but a few. Acknowledging the key insights of the TEEB study, India is in the process of implementing a new set of accounts, which track the country’s natural capital and include the value of nature’s services alongside GDP in decision-making. China is another country where natural capital investments and payments for ecosystem services are now being integrated into governance on a remarkable scale (see case study map, page 16). The TEEB report also emphasizes the message that failure of business to account for the value of natural capital, particularly in sectors such as mining, can pose significant economic and social risks. Estimates show that the negative environmental impacts of the world’s top 3,000 listed companies amount to around 2.2 trillion USD annually. One example of better integration of ecosystems and their services into business activities is the Corporate Ecosystem Services Review (ESR), developed by the World Resources Institute and others. This is a five-step methodology for corporate managers to proactively develop strategies for managing business risks and opportunities arising from their company’s dependence and impact on ecosystems. Another example is the Reducing Emissions from Deforestation and Forest Degradation (REDD +) programme. In terms of dollars per ton of carbon, it is an economically attractive option for reducing CO 2 emissions. REDD + expands the scope of previous REDD programmes beyond avoided deforestation and degradation activities to include e.g. rehabilitation, planting of trees, sustainable management and an explicit aim to ensure the full and effective participation of indigenous peoples and local communities. Although by no means a perfect solution, estimates show that financial flows for greenhouse gas emission reductions from REDD + could reach up to 30 billion USD a year. In addition to climate change mitigation, REDD + can also generate a number of other benefits, including biodiversity conservation and a multitude of ecosystem services. Such ecosystem services are essential for the livelihoods of many millions of people and include erosion control, stabilization of water supply and many wood and nonwood forest products. Raising awareness about the dynamic interactions between social and ecological systems is one challenge, coming up with new ways to govern them is quite another. Governing complex social-ecological systems requires an institutional ability and zeal to cope with, adapt to and shape sudden changes. Such a move from rigid sector-based resource management to more adaptive ecosystem-based management is slowly gaining momentum, e.g. through the ‘ecosystem approach’, which is the primary framework for action under the UN Convention on Biological Diversity. Ecosystem-based management is an adaptive management approach that does not simply seek to manage human impacts on ecosystems. It also recognises that the capacity of an ecosystem to generate goods and services is shaped by humans and acknowledges the importance of their actions, including collaboration among individuals, networks, organisations, agencies, researchers and local resource users. Research suggests that flexible social networks and organisations built on adaptive learning are in a better position to sustain and manage ecological systems. Adaptive governance approaches must be able to coordinate relevant actors at multiple scales, but also to achieve meaningful collaborations and collective action before essential ecosystem services are depleted or critical thresholds are transcended. Key individuals provide trust and visions, while so-called bridging organisations lower the costs of collaboration and conflict resolution. They also connect groups that would otherwise not be connected and enhance learning among stakeholders. Adaptive governance systems are increasingly appearing at regional and global level. 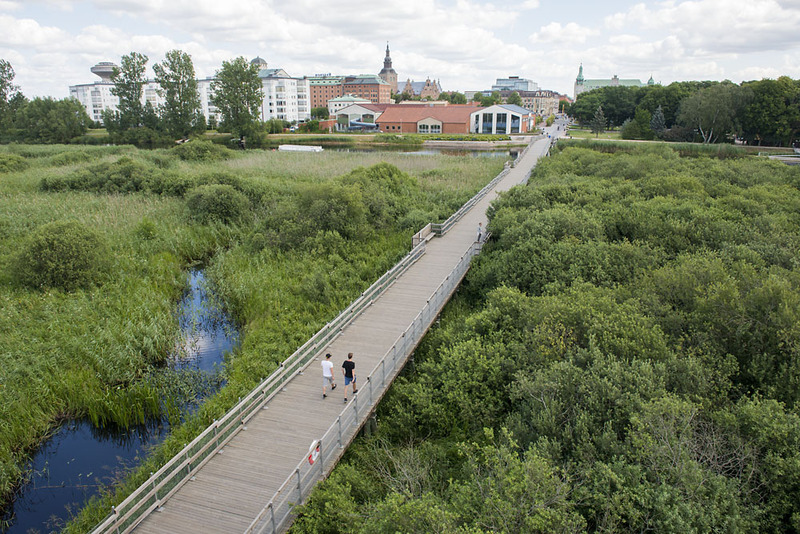 The wetland area of Kristianstad in southern Sweden is one such case where ecosystem-based management structures have been successfully implemented. Although it has no authority to make or enforce legal rules, its Eco museum Kristianstads Vattenrike (EKV) is playing a highly active and influential role in managing the wetlands. In June 2005, the wetlands were formally designated a Biosphere Reserve under the UNESCO Man and Biosphere scheme. Examples of adaptive governance have also appeared on an international level, with measures taken to curb illegal and unregulated fisheries in Antarctic waters. Effective international collaboration between states was initially hampered by political sensitivity, but non-state actors (NGOs and the fishing industry itself) and their engagement in the Commission for the Conservation of Antarctic Marine Living Resources enabled the emergence of new ways to address the problem. A small number of key individuals living in countries remote from Antarctica mobilised personal networks and produced reports, which in turn raised political awareness, produced voluntary monitoring schemes and imposed informal pressure on states and corporations involved in the industry. Although illegal and unregulated fishing has not completely disappeared, it has been considerably reduced through the complementary roles filled by state and non-state actors. Believe it or not but for most of human history we have existed as hunter-gatherers. Now, thanks to the dramatic fossil fuel-driven expansion since the 1800s, our imprint on the global environment is so large that we risk triggering a number of abrupt or even irreversible global environmental changes. The question is how we can become planetary stewards instead, and strike a long-term balance between human well-being and sustainable use of the earth’s ecosystems.